Kits to fit a Brembo brake caliper and enlarged discs to your Triumph Bobber, for a stronger and more progressive braking power! 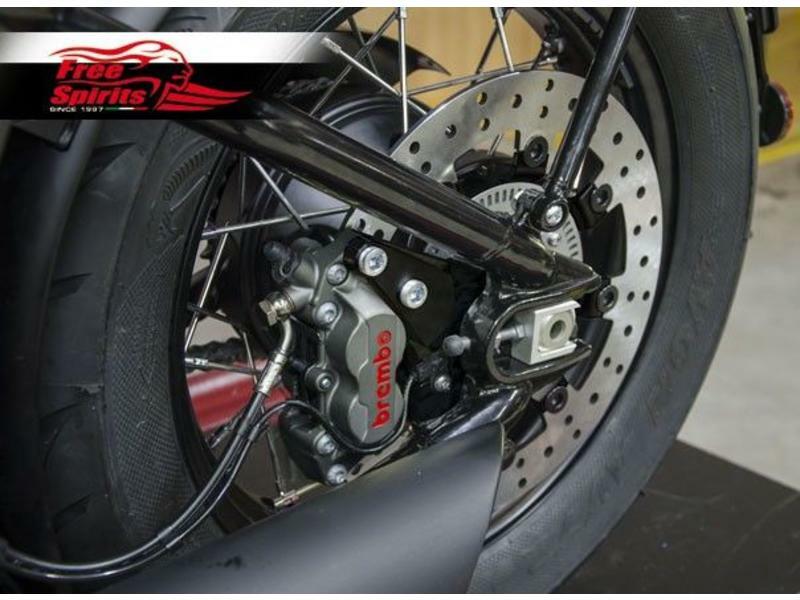 Complete kit to fit Brembo 4-piston brake calipers on your bike, to replace the original equipment that lacks power and modularity. 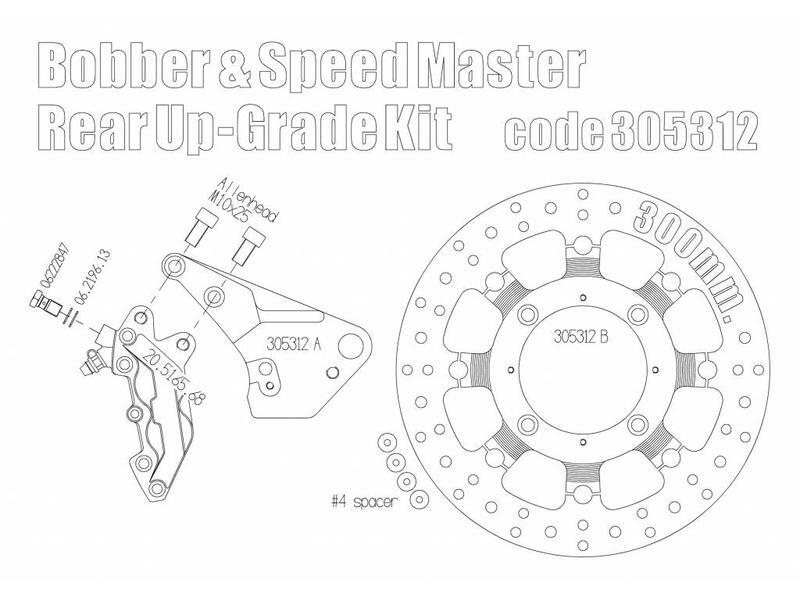 The FRONT kit includes caliper* + pads* + bracket* + 340mm floating** disc* to replace the original 310mm fixed disc for a stronger braking and more durability. 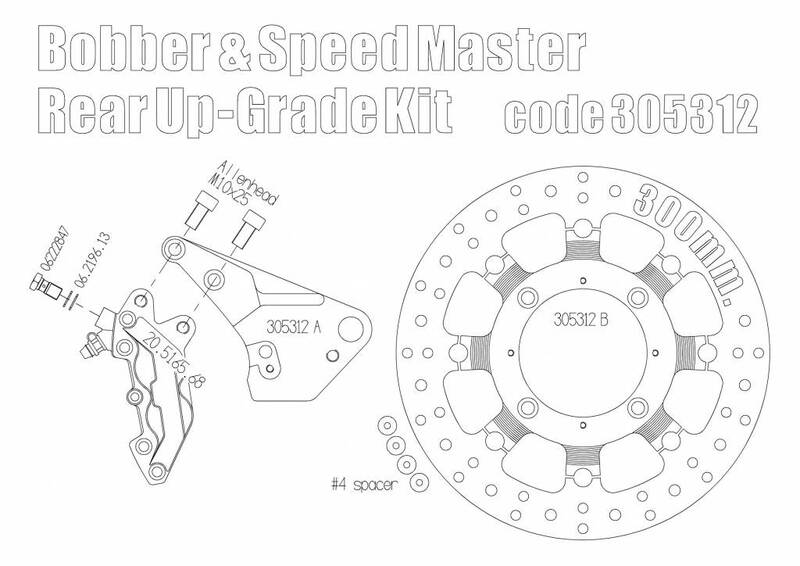 The REAR kit includes caliper + pads + bracket + 300mm floating** disc to replace the original 255mm fixed disc for a stronger braking and more durability. 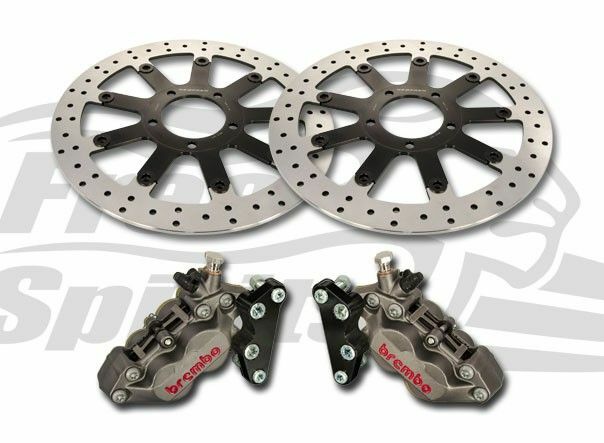 The kit is available with either a Brembo standard caliper (gold colour with white lettering), or a Brembo "Performance" caliper with titanium pistons (grey colour with red lettering). 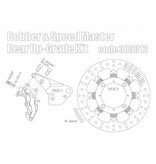 * Two of each in the case of the front kit for Bobber Black (version B). 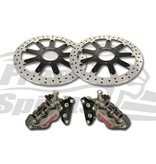 ** Floating discs give a high quality brake 'touch', reduced weight and better performance than a fixed disk "in one piece". 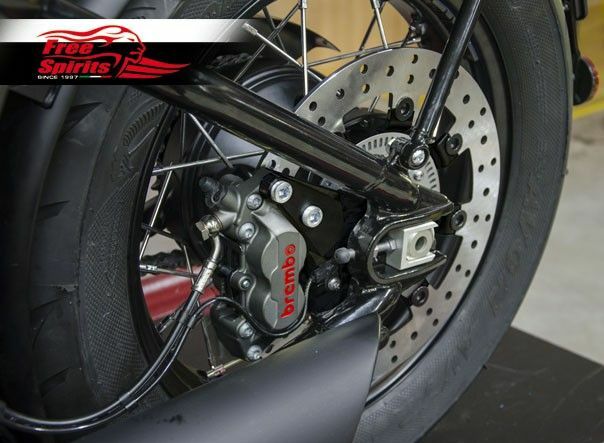 The kits are supplied "ready to fit" in direct replacement of the original equipment and require no modification of the bike. They re-use the original brake hoses. 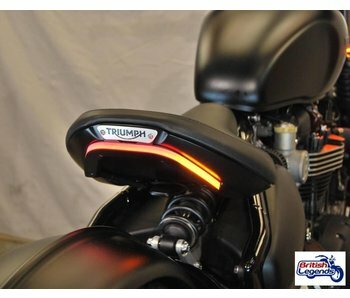 Tail tidy for a sharp and modern look at the rear of your Bobber. Complete kit, ready to fit. 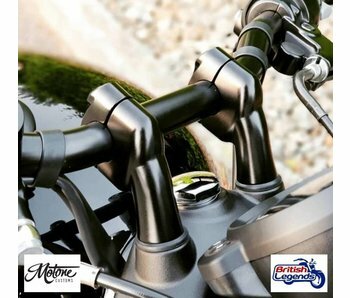 YSS multi-adjustable shock absorber for Triumph Bobber, Bobber Black and Speedmaster 1200. Increased confort and better road dynamics!